All the time he was doing this Vanya and Maroosia were snuggling together close by the stove, thinking what story they would ask for, and listening to the crashing of the snow as it fell from the trees outside. Now that old Peter was at home, the noise made them feel comfortable and warm. Before, perhaps, it had made them feel a little frightened. In a hut deep in the Russian forests, Old Peter’s grandchildren listen as he tells of fire-birds and foxes, of flying ships and frost, of Sadko and salt, of tzars and peasants and witches and soldiers, and of the Little Daughter of the Snow. 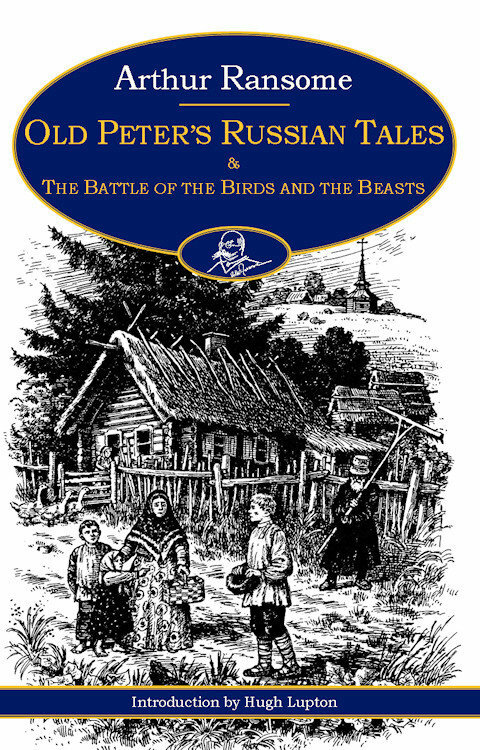 First published in 1916, Old Peter’s Russian Tales is a wonderful collection of classic Russian folk lore, retold by a master story-teller. For the first time it is available in this single volume with Arthur Ransome’s second collection of Russian tales, which were originally brought together as The War of the Birds and the Beasts, in 1984. Illustrated by Faith Jaques, and with an introduction by Hugh Lupton, Arthur Ransome’s great-nephew and himself one of Britain’s leading story-tellers, this is a collection to savour and to share.